Protecting equipment during travel preserves sensitive equipment from damage, as Western Case shares firsthand how blow molded carrying equipment cases and custom foam packaging protects equipment. The in-stock, semi-custom, and custom designed carrying cases can fit any kind of equipment just right to prevent damage. RIVERSIDE, Calif. /California Newswire/ -- Protecting equipment during travel preserves sensitive equipment from damage, as Western Case shares firsthand how blow molded carrying equipment cases and custom foam packaging protects equipment. The in-stock, semi-custom, and custom designed carrying cases can fit any kind of equipment just right to prevent damage. Western Case has three carrying case options available, depending on the equipment specifications. At Western Case, small equipment, such as weight sets, scientific equipment, cameras, tools, and medical equipment are typically specifications we can meet with the in-stock carrying cases. These are ready for immediate shipping. Western Case has one of the largest selections available with over 50 sizes for any equipment type. Custom foam inserts can be cut to fit the equipment to ensure a proper fit for safe transportation. Western Case's semi-custom carrying cases feature the same case sizes available with the in-stock cases but offer more flexibility for designing the inside of the case. The interior of the case can be custom molded to fit the equipment, tools, or parts. It will hold the product securely in place during transport and storage without the need for foam inserts. The exterior of the semi-custom cases also features options that are changeable. These cases are also used for medical, scientific, government, tools, and other industries. Equipment that is medium - large and is outside of the standard case sizes are custom fitted with our custom cases. Western Case's team of expert engineers can custom design a case from concept to completed product. The design is ensured to meet needed specifications. Equipment that is outside of the standard case sizes would require custom manufacturing to fit the needed specifications. Our design department can custom create a blow molded carrying case to protect the equipment. Contact Western Case to see whether a small in-stock or semi-custom carrying case is the best option for the protection of the equipment. The design and manufacturing of blow molded equipment cases goes through our highly developed process. We use Solid Works' CAD platform to provide the complex shape and surface modeling of the case before production. Contact us to tell us the specifications of the equipment and carrying case needed. We can help in the decision of which case is right for the product. 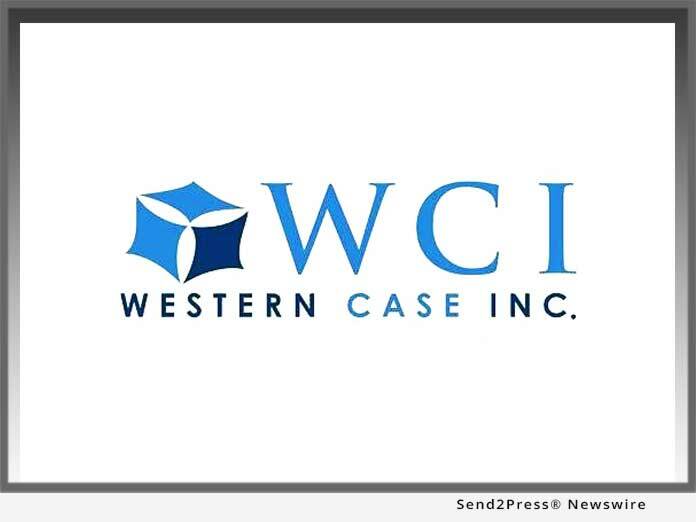 Speak with one of our experienced representatives at 951-214-6380 or visit WesternCase.com. Our broad experience in the design and manufacture of blow molded plastic carrying cases, and custom blow molded products will be an asset to you at any stage of your project. Whether your project is in the concept stage - or if you already have your products developed - our design, engineering, production, and marketing staff is ready to work with you. This version of news story was published on and is Copr. © 2018 California Newswire® (CaliforniaNewswire.com) - part of the Neotrope® News Network, USA - all rights reserved.